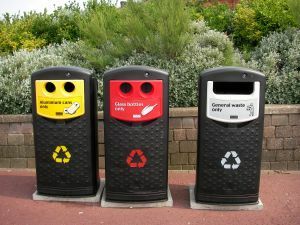 Many of us make the effort to recycle in order to help protect our environment. Recycling is generally thought of as a positive effort, making it particularly upsetting when we hear about allegations of environmental misdeeds at a local recycling company. Our Sacramento environmental damage law firm knows that violations of environmental laws can harm the planet, cause significant losses to property owners, and also create an unfair market for businesses that invest in following environmental requirements. According to a report in The Sacramento Bee, River City Waste Recyclers is facing both criminal charges and a civil suit filed by the Sacramento County District Attorney. River City has five locations in the county including in Elk Grove, Galt, and downtown Sacramento. The company faces 71 alleged violations with maximum penalties of $25,000 per day, dating back at least a year. Environmental allegations against River City include charges that the firm stored hazardous materials without necessary permits, improperly disposed of auto parts allowing oil to drain into the ground, and failed to take basic precautions against fires. At least one significant fire at the company’s dump on North B Street, a blaze that sent three firefighters to the hospital, has been tied to improperly stored waste. Neighbors of River City’s Galt location have reported five instances of spontaneous combustion stemming from wood chip piles that were, according to the charges, oversized and poorly spaced. Environmental claims also relate to the company’s alleged failure to “prevent the escape of fugitive dust.” Additional charges involve the failure to properly train employees, inadequate recordkeeping, and zoning violations. The DA has asked the judge to declare River City a public nuisance and to issue an injunction to force the company to comply with all applicable laws. Legal issues are not new to the River City. The company has also faced charges relating to its involvement in the market for stolen metals. A criminal complaint against the company and certain members of its management team was filed on April 11. The charges came during a spree of thefts involving copper and other metals. Efforts have since slowed the wave of metal thefts, but the crimes caused significant financial damage to area businesses and public entities. Notably, the observations of undercover officers investigating the thefts helped alert county officials to environmental violations at the recycling facilities, issues that had been on the radar of some county agencies for the past year. In addition to violating the law and endangering the planet we all share, failure to follow environmental regulations can have a significant impact on local businesses and individuals. Environmental damage can lead to decreased property values for neighboring parcels. Regulations also serve an important public health purpose and chemical exposure stemming from environmental regulations can cause serious illness, especially in vulnerable populations such as young children, pregnant women, and the elderly. Further, as the DA noted with respect to the River City allegations, the failure to follow environmental regulations can give a company an unfair advantage over businesses that invest in following the rules. Our law firm represents companies and individuals impacted by environmental violations in Sacramento and other Northern California regions. Please call for a free consultation.